At APICMO, our scientists have vast experience in chemical synthesis, analytical chemistry, life sciences, and the related scientific work. We produce large quantities of 6-Bromopurine, which is aimed for research, development, and synthesis of other chemicals. 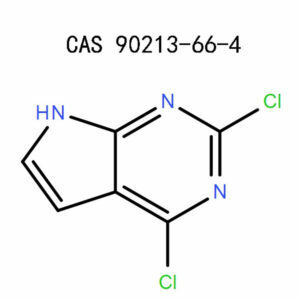 The product will synthesize 6-halopurine alkynes, 2,3,4,5-tetrahydro-1,5-benzoxazepines-3-ol, and triazole derivatives. It falls in the same categories as halogenated heterocycles, building blocks, purines, and chemical synthesis. The activity of azaserine in a test system using ascites cell forms of Ehrlich carcinoma and sarcoma 180 in vivo. 6-bromopurine nucleosides are great substrates for substitution reactions with O-, S-, and N-containing nucleophiles in polar solvents. Towards the formulation of new class of podophyllotoxin to target tubulin and topoisomerase II as substantial target in cancer therapy, a series of isoxazolidine podophyllotoxin derivatives were designed. Four β-tubulin in complex with taxol, vinblastine, colchicines or zampanolide, and topoisomerase in complex with etoposide were used as targets using GOLD5.2.2 as the docking module. 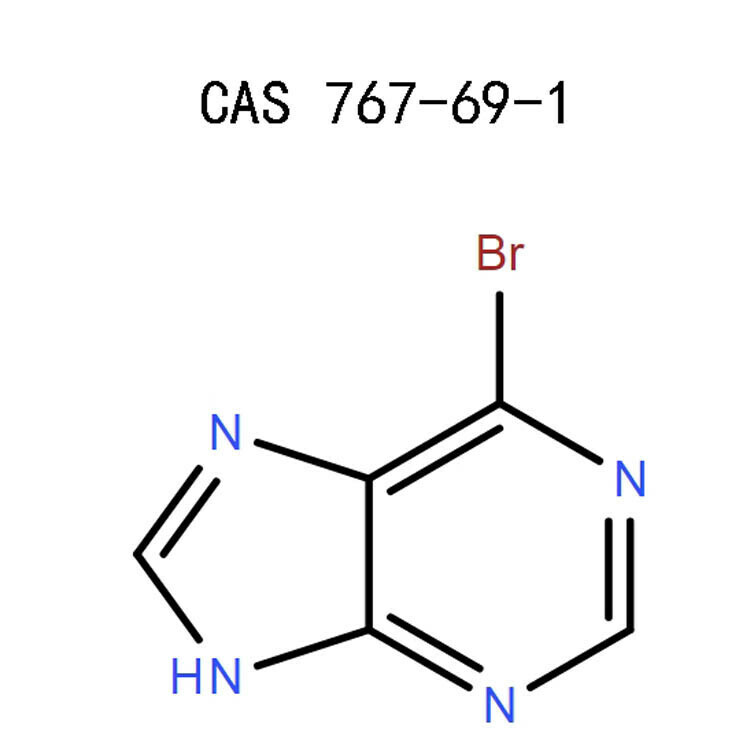 Position 5 of isoxazolidine ring accommodated with N-(2-oxopyrimidin-4-yl) acetamide, 6-bromo-9H-purine, or 2-amino-6H-purin-6-one. All these structural characteristics are crucial for compounds to fit correctly into topoisomerase II, except (1) β (S) configuration has a higher score fitness than α (R) in position 5; (2) 4′-OH; and (3) position 5 of isoxazolidine ring accommodated better with 7H-purin-6-amine, 6-bromo-9H-purine or 2-amino-6H-purin-6-one . Toxicity studies and computational ADMET were in agreement with the docking results. The Compounds holding ethylene bridge between benzyl moiety and phosphate at N2-position of isoxazolidine ring have the maximum pharmacokinetic properties and were taken to be non-toxic. The expected solubility profile for most of 4′-OMe with compounds was excellent. This made us realize our aim in identification of promising new hints as an antitumor agent with less toxicity and improved activity. 6-Bromopurine is slightly soluble in methanol and dimethyl sulfoxide. 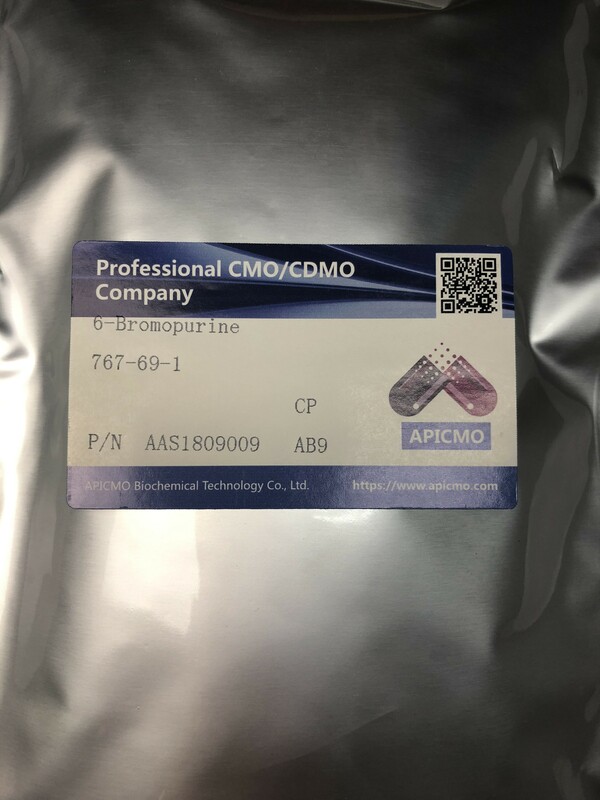 6-Bromopurine is highly sensitive to heat, light, and moist conditions. Before handling 6-Bromopurine, you should be aware of the hazards and the dangers it may have on your health. These methods are the most reliable, permanent, and sure way of minimizing hazards in a chemical-based laboratory. They include exhaust ventilation, chemical fume hood, emission source enclosure, process control, and a convenient safety shower. This system can either filter out the contaminated air or direct it away from the user. It includes an air cleaning device, recirculation duct, or a fan. Work in an enclosed space which separates the chemical from the user. The enclosure should be well-sealed to prevent access by unauthorized personnel. Cover your entire body with the appropriate clothing. For face protection, use the safety goggles, a fitting mask, anda respirator with air-purifying capabilities. Wear chemical- resistant rubber gloves, impervious shoes, and a full suit. If you have any contact lenses, remove them and immediately rinse the eyes with plenty of running water for about 10 minutes. Seek medical attention if irritation persists. Wash the spot with a copious amount of running water to prevent corrosion. Continue flushing the affected area for the next 15 minutes before seeking further medical advice. Move the victim in an open area or a room with maximum air ventilation. Administer oxygen support if there are breathing difficulties and seek immediate medical care. Flush the mouth with enough water and seek medical advice to minimize toxicity. 6-Bromopurine should be handled by a professional or an expert who understands the risks involved. Always wear the protective attires such as a respirator to avoid inhaling the toxic fumes. In this case, bromine is poisonous to the respiratory tract when inhaled. Store the product under low temperatures in a room with enough ventilation. Preferably, this should be in a refrigerator at -20˚C. Limit exposure to light or moisture. In case of fire, contain the inferno with dry powder, alcohol, polymer foam, or carbon dioxide gas. Avoid breathing the fumes since the combustion products might be harmful to your health. These byproducts include bromine, hydrogen bromide, nitrogen oxides,and carbon monoxide. Avoid exposing 6-Bromopurineto oxidizing agents, heat, or flames since it might lead to chemical decomposition. Abide by the federal, state, and local laws when disposing of 6-Bromopurine. You can work with your local authority to help you with the disposal. 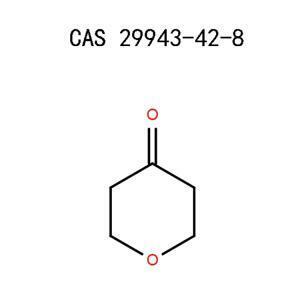 6-Bromopurine has no known CAS number exceeding the threshold level set by SARA Title III sections 302 and 313. Be sure to follow the regulations offered by your local authority. 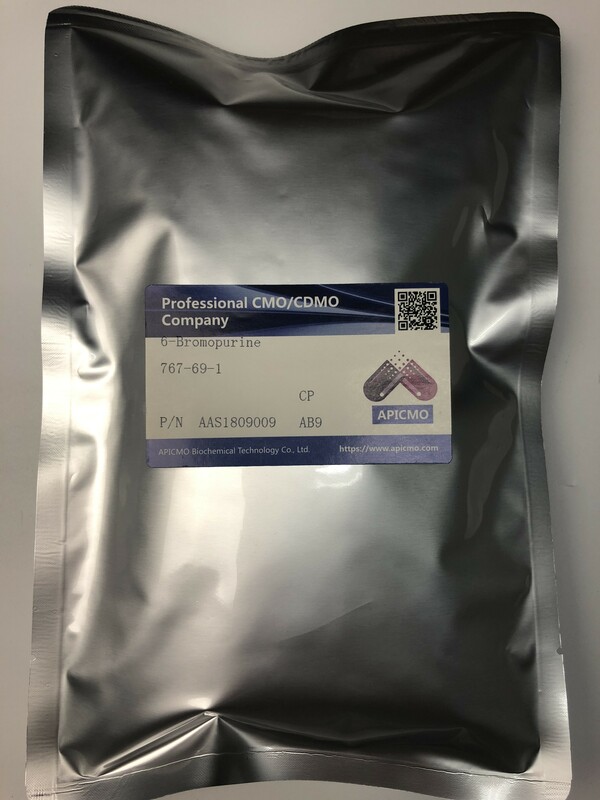 Whether you need large or small quantities of this product for your development, manufacturing or research applications, Apicmo, is your best partner. Just contact our friendly and professional customer care team for a free, no-obligation quote. National Centre For Biotechnology Information, US. 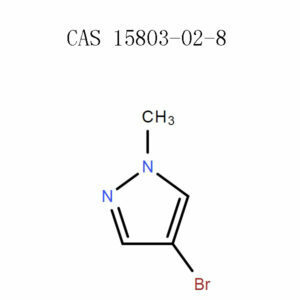 National Library Of Medicine, Pubchem, 6-Bromopurine, Sections 1-10. Eduardo A. Véliz*, and Peter A. Beal* Org. Chem., 2001, 66(25), pp 8592–8598.